And now a cleansing breath. And now a positive attitude? And a possible aversion to blabbing my business all over the blog-o-sphere because I am apparently jinxing myself? Well, no. Although I have some belief in hoo-doo, luck, and spirit worlds and the like, I’m going to go ahead and share the latest development in reception places. I have been driving past this little place like three or four times a week and the thought would occur to me: “That place is cute. Maybe I should check it out.” And then I continue on about my business and forget about it as soon as I get out of the car. But when that place downtown (after the guy totally led me on about how I was first on the list and November 9th was a very real possibility and blah blah blah) fell through last night, this other place jumped to the front of my brain. Finally, at the prompting of my friend, Rebecca, I emailed them to ask if it was available. “Our rate for private events is $200 per hour and only during nonbusiness hours (before 4 pm). If you would like to have the event during business hours, there is no charge but it can’t be a private event. If it is a private event, you’re welcome to decorate, bring in food, provide entertainment and all ages are ok as long as minors are accompanied by a parent or legal guardian. Our capacity is 75 inside, and 300 outside. Just let us know if you’re looking for a private event or would like to have the event during normal business hours. We do have a private area we could reserve on the patio during business hours for no charge. But my business analyst brain is in overdrive thinking of the possible if/thens. My ceremony is currently scheduled to take place in mid-town from 3:00 – 4:30. If we keep this time, then we can (very Bud & Sissy-esquely) crowd on to the porch of this place and have a little shindig with whomever wants to join us back there. If we do that, then I need to ask about bringing in food, if we can have a dj and/or mariachis show up, what’s the deal with paying for drinks for the people in our group, and let people know that kids can’t come. OR we could stop at the house, eat, and move as a group to this place leaving the kids with a babysitter at the house, to be retrieved later. OR (and I’m going to lean toward this one in the short term) I can see if I can move the ceremony to, say, noon. Then, we could all arrive at this place around 1-ish. We can eat and drink and be merry to our hearts delight until 4 (for only $600!). We can arrange for food and kids to be shuttled off to the house (very nearby, btw), and move ourselves to the back porch area, where we can continue to carry on with the celebrations, albeit in a more open to the community way. We may still want to figure out a way to have “our” music, if the venue is cool with that, as long as it’s not too loud or too competitive with the jukebox. Or heck, maybe we’ll just pour a bunch of money into the jukebox and dance the night away like a real honky tonk! And now, I’m suddenly freeing up my brain to think about decorations and other things on my to-do list like, I don’t know…invitations???!!! They need to go out ASAP! Another cleansing breath. Whew. Maybe this is going to happen, after all! Bad news. 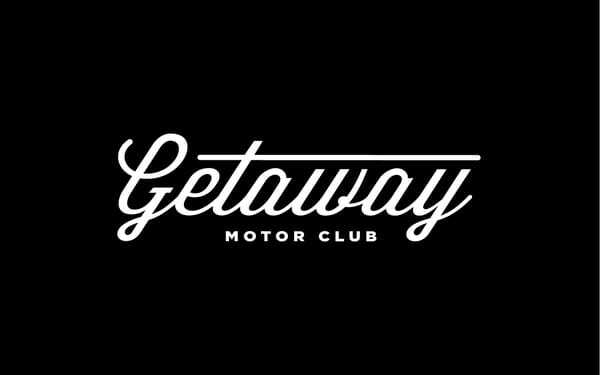 The Getaway Motor Club is not for me. There was no obvious signage on the outside of the building, no sign, no parking. It looked like a warehouse…and I don’t mean I didn’t like it because it was “industrial” on the outside…it was like a scary-looking warehouse. Like rusted out doors and strange, not-patched holes in the exterior. It’s just not going to work. Especially not for what they quoted me ($3500). And the other place, “The Sanctuary” was already booked on my day. Boo. The good news is I can see this as a challenge that can be solved…somehow. Someway. I have a very good lead on a very cool spot, but the only problem is that I have to wait for some contractual stuff to get settled between the building’s owner and the people who will be leasing it in the very near future. The owner seems super cool and told me I was first on the list. The price is right. And get this…it’s in the heart of downtown Austin. It is actually across the street from where C and I had our first official date. Since we met in the middle of 6th Street on New Year’s Night, it seems fitting to celebrate this day downtown. It is also practically around the corner from where the ceremony will happen. The only thing to worry about is the limitations on what we can bring to the venue. If they want a licensed caterer only to bring in food, then we will figure out a way to get someone to make my family’s food on the cheap. My friend, Kristen, is full of insider know-how with some really great ideas about how to get around the licensed caterer thing without paying an arm and a leg for it. AND IF for some reason this doesn’t work…I am willing to rent a warehouse space and turn it into my dream space. And quite frankly, it would probably cost the same as one of these venues (or less) renting for a whole a month. Austin being Austin, people do this all the time during music festivals for shows and whatnot, so I think it’s a very real possibility. And if worse comes to worst, then we WILL just traipse on down to a bar somewhere and take over the place. Or build a dancefloor in the back yard. Or…I don’t know…flashmob on 6th street. The short term impact is obviously the delay in sending out invitations. It’s really too late to do a “save the date” AND invitations, so…with time running out, I need to nail something down very, very soon. Cross your fingers, people. And pray. Please. So…I’m wearing boots to my wedding. Not just a “regular” old pair of boots, but some fairly fancy ones, albeit ones I would still wear in “real life.” Now, for me, that means I’d probably sport these and my other favorite boots at least once a week (each) at work during the fall and winter and early spring. They need to be versatile, but, quite frankly, beautiful. Now. The conundrum begins with the fact that I have a wonky ankle and big feet. It is not easy to find a size 11 of anything, especially women’s cowboy boots, that don’t make you look like you are walking around in boats. A flattering boot, however, even in size 11, can make you look like a rodeo queen, at least from toe to knee. In all honesty, I am kind of a boot snob, and quality is of ultimate concern for me. I expect this pair of footwear to last at least 10-20 years. I expect this because I have boots that I have already had for 10-20 years and they could go another 20. I also expect cowboy boots to be made in the USA or Mexico because, hello, that’s where people wear them and therefore (one would think) the craftspeople should better know how to make them correctly and to last. At least that is my rationale. They also cost a pretty signficant amount of money and an animal had to give its life for the existence of the boots. In short, these are not *just* wedding boots, they are an investment. This is a boot made by Corral, and is made in Mexico (like all Corral boots, according to their website). I like the wow factor, I think they are gorgeous and unique, and the shaft isn’t so tall that it would dig into my leg. However, finding this boot is not easy. No store in town has it. Boots are something you really should try on, so I tried other Corral boots with a similar toe style and they all fit fine. But some of the boots, in size 11, look like boats to me. It’s hard to keep perspective, though, when you are looking at your own feet in an outfit nothing like the one you plan to wear the boots with. I can only find these on the Corral website, which means no price reduction can be finagled in the store via sale or coupon. 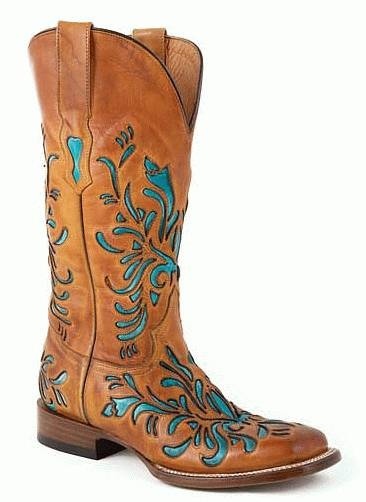 But they don’t have this kind with the turquoise inlay in my size in the store (they have one with brown inlay – boring), which is less of an issue, really because they are easy to find online. I think they are more brown than I was envisioning for myself and I wanted something with a bit more pop of color. Pretty on the foot, though. 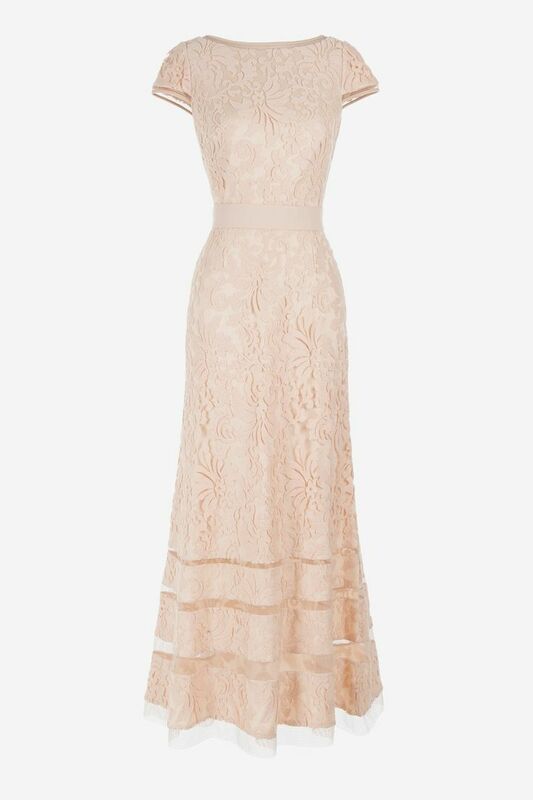 And arguably more versatile for day-to-day wear. It has the pop of color and looks pretty in the picture, but I am afraid of the boat effect. I tried on a different pair of a similar style boot and it was like me and Big Foot were trading footwear at a sleep over. HUGE looking. That’s not something I even want to think about on my wedding day. Of course the one I tried on was a mostly light color and light colored things exaggerate size…but still! I don’t think I can buy it unless I see it on my foot first. But what about these? Hmmm…heel is too low. I lurve me some Tony Lama boots, but they don’t make my size in women’s, which means I’m left looking at men’s boots, and none of them are fancy enough for a wedding. So, I think I’m going with my first choice. If something happens (like they are considered special order and it’s going to take 90 days to get here) to this plan, I’ll have to reevaluate my second choice and carry a bigger bouquet to compensate. Or go red. I guess all blogs are fueled by some kind of vanity. But these next few months of posts will be dedicated solely to the decision making process around…my wedding! Possibly the most vain of the vanity projects. But no, seriously…it’s fun and I want to share stuff easily with my friends without clogging their email/text inboxes. So here we go…the ever-handy blog! And as you may guess by the title of this blog, my wedding is going to be inspired by my home state and the attire we are so commonly stereotyped as wearing: cowboy duds. I kept having this idea of an “Urban Cowboy” kind of wedding…just a small ceremony, then head on down to the Broken Spoke for some two-steppin’ and beers. But then it seemed like the older folks would feel out of place at a honky tonk, and no kids would be able to go, and I really want some kids to be there, so…there are going to be some more significant purchases and planning to coordinate than Bud and Sissy did. What’s really giving me trouble is the reception place. It needs to be big enough to dance at. It needs to allow drinking. I want to have a potluck (more on this in another post), so they need to let my guests bring food i.e. not limit it to a licensed caterer. And it needs to not be too expensive or already booked. This wedding is happening soon, y’all. This is the front runner, though it is too expensive for me to cover alone. I am trying to do this without my parents help, but it might have to come down to that if I can’t find an alternative fast. There are pictures on Yelp and it is available (or was last week :\). They will allow the potluck, they have a bar, and I wouldn’t need to bring in tables or anything, I don’t think. It’s not much to look at on the outside, but it’s the inside that counts. And all I really care about is dancing the night away, so this place can provide that. A different place I just found today could really be a lovely locale for a mingle-minded reception with enough space to do some dancing. If the weather is bad that day, it’s kind of limited in space, but if the weather is its usual Austin-balmy self, this place would be ah-maze-ing! I am still waiting to see if it is available, so nobody freak out yet at how cute it is. It is also very potluck friendly, and much closer to the ceremony site than the other one. There is still a lot to do, but things are moving in the right direction!